The San Jose Museum of Quilts & Textiles celebrated its 40th anniversary in 2017. 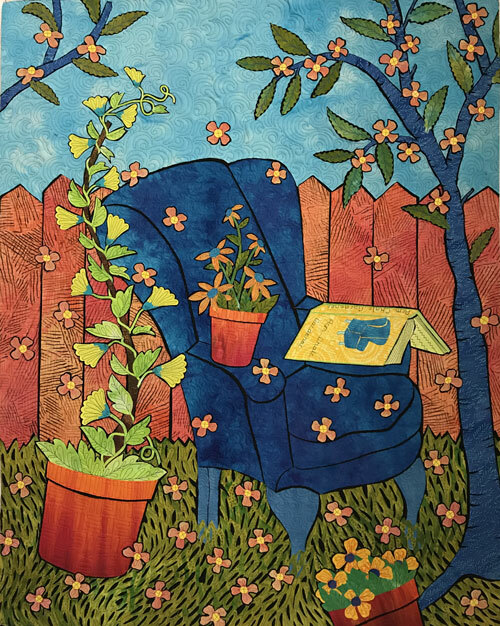 It also celebrated a gift of 87 art quilts, donated by Marvin Fletcher and his late wife Hilary. It is known as the Marbaum Collection and I am so happy that my work, Via Chair Mail is included in this generous gift! 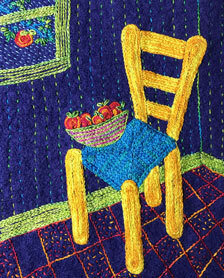 This particular version from my blue chair series is made from “random acts of fusing”. 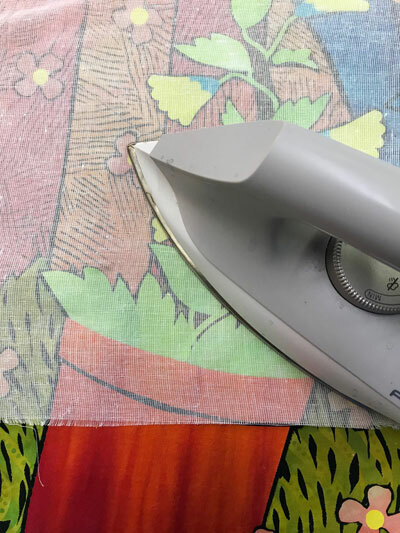 After creating a piece of fused artwork, I save all the cut-a-ways or confetti fabrics from making the work and construct collaged fabrics in sheets. As more projects are completed, more fabric is added and the sheets eventually document the art I make. Like a journal, I can “read” the fabric collages and reminisce about the art I’ve made and events in my life during the construction. Having my art work purchased by Hillary and Marvin Fletcher and in the care of the Marbaum Collection is an honor. 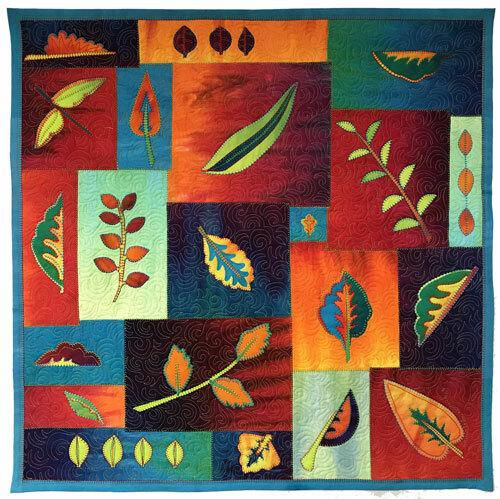 Their support of the quilt as an art form lightens my heart and gives me great delight. I am so fortunate my art work travels around the world with their collection. This piece travels Via Chair Mail.